For our third day of pink nail art, we decided to being you something out of this world! It's the Pink Galaxy Manicure, inspired by this black version we created. We love the idea of a pink galaxy, don't you? 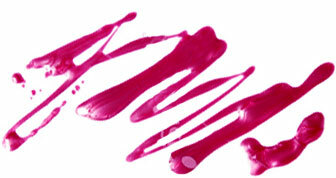 We used a sponge to dab different shades of pink onto a fuchsia base coat. Then, we topped it off with some gold glitter.